Audiqueen allows storing drawings of anatomical structures. Figure showing the results under test type ‘Drawing’. The user can open preconfigures drawings, add his own annotations and save the result. Here, for instance, the evolution of a tympanic membrane perforation is shown. 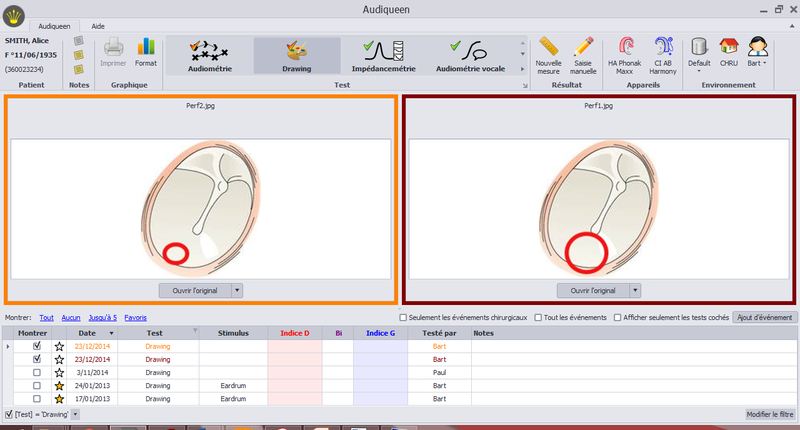 Audiqueen allows storing annotations on drawings of anatomical structures.